Omani farmer Husain Bin Said AlKhatri stands with pride in his land between the AlHajar Mountains of Oman that are visible behind him. 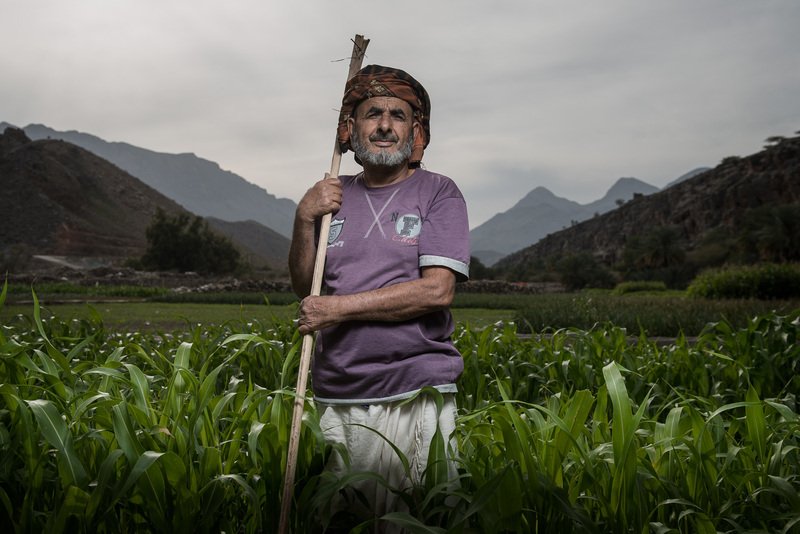 Farming has historically been and is still one of the key professions that Omanis practice. This is one of the areas where farming is still practiced in a very traditional way, on a much smaller scale then the industrial farms in other parts of the country.